OLD PARKED CARS. : 1968 Dodge Dart Sedan. All time best shade of green. Just saw the folding bike in the shot, so sick! 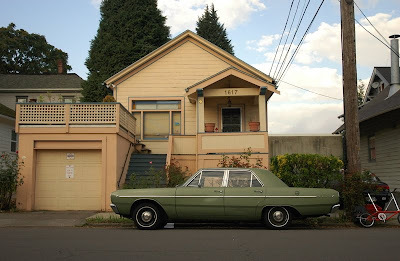 Something about that house color makes it look like another outtake of a brochure photo shoot. i think i shot this car on multiple occasions parked in multiple locations with multiple cameras. certainly pleased with the final outcome. Did you notice if that car had a radio in it? My grandfather had a '68 Dart, also green like this one, and it had no radio from the factory, which was why he rubberbanded a Panasonic transistor to the sun visor. Thanks for the walk down memory lane. 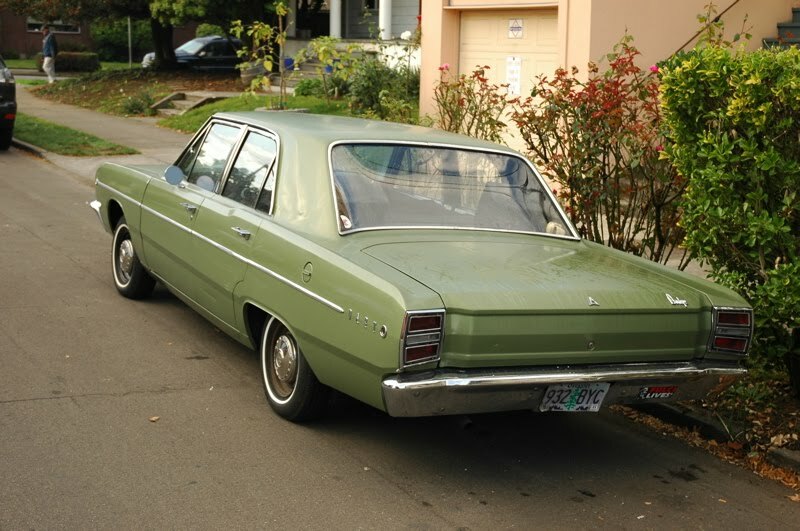 My first car was a '68 four door Dodge Dart in this exact shade of green. Loved that car. 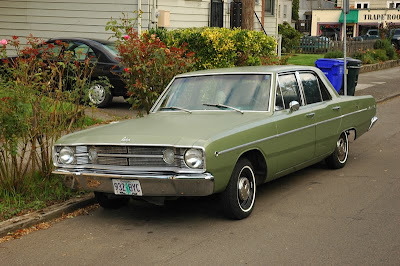 I just bought a 1968 Dart very similar to this one. No Muscle car, mine has the 225 6 cylinder. But I love the car! I was an 8 year old with my grandmother when she purchased this same color Dodge Dart in Phoenix, AZ. When she quit driving in 1982, she gave me the car. I moved to Texas and started my life with the help of this car, loved it. It did have an AM radio, PS, Automatic, black interior. Fanciest car I had owned up to that time. Thanks Grandma!